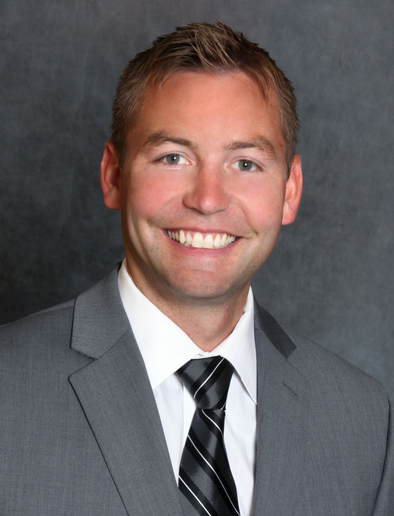 Brian P. Bjerke, MD, is a board certified and sports medicine fellowship-trained orthopedic surgeon. He is currently a team physician for the Minnesota Vikings and the Team Physician for Augsburg University. His special interests include sports injuries in patients of all ages. Procedures Dr. Bjerke specializes in for the knee include: ACL and multi-ligament knee reconstructions, meniscus repairs, patellar instability, chondral injuries, knee malalignment surgery, quadriceps and patellar tendon injuries and total knee replacements. Procedures of the shoulder include: treatment of shoulder instability/labral injuries, shoulder separation injuries, bicep tendon injuries and rotator cuff tears. Procedures of the hip include: arthroscopy of the hip for treatment of femoroacetabular impingement and labral tears, proximal hamstring injuries and total hip replacements. Dr. Bjerke also performs procedures of the elbow and ankle, as well as fracture care of the knee, shoulder, hip, elbow and ankle. Dr. Bjerke and his wife live in Edina with their three active boys. They enjoy participating in multiple sporting events as well as spending endless hours doing outdoor activities. Dr. Bjerke replaced my left knee in April 2018. The surgery took away my arthritis pain in that knee immediately. After 6 weeks of outpatient therapy at TCO, I was able to walk again better than I had in many years. Dr. Bjerke and his staff (Katie and Andria) took wonderful care of me. I recommend them to anyone!! Dr. Bjerke and his staff (Katie, Patrick, Andria) were very caring and professional. In determining that my knee pain was resonating from the hip, they first eliminated a number of potential causes focused on the knee. I was pushing for knee replacement, but their assessment of my knee structure as good led them to examine previous x-rays on the hip that indicated significant arthritis. That assessment led to hip injections that eliminated the pain and no surgery was required, all thanks to their pursuit of the actual cause. I herniated a disc in my C spine in the fall and experienced terrible pain and numbness down my right arm. I saw Dr. Bjerke, who immediately got MRIs done and recommended rest, then a course of PT. He did an excellent job. I feel completely better and I just completed a 1/2 marathon. I am thankful to TCO for helping me when I was so worried a few months back! I was very fortunate to be cared for by Dr. Bjerke! He applied emergency stabilization, recommended treatment protocol, performed surgery and provided followup care. We were extremely impressed with the knowledge, expertise, professionalism and caring manner of everyone we worked with – from the urgent care and surgical staff to the physical therapy specialists. Thank you for the excellent care, Dr. Bjerke and staff! It made a very painful situation much easier that I felt I was in good hands.